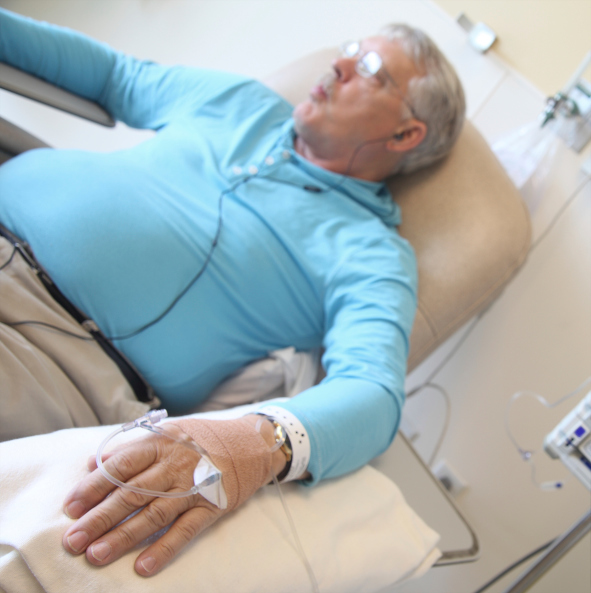 (HealthDay News) — Adding docetaxel-based chemotherapy (CT) to standard treatment for high-risk nonmetastatic prostate cancer improves survival, according to a study published online in the Journal of Clinical Oncology. Seth A. Rosenthal, MD, from Sutter Cancer Centers in Sacramento, California, and colleagues assessed whether docetaxel CT could improve overall survival and clinical outcomes among patients with high-risk nonmetastatic prostate cancer. A total of 563 patients were randomly assigned to receive standard long-term androgen suppression (AS) plus radiotherapy (RT) with or without adjuvant CT. The researchers found that during a median follow-up of 5.7 years, the four-year overall survival rate was 89% for AS + RT and 93% for AS + RT + CT (hazard ratio [HR], 0.69). There were fewer deaths resulting from prostate cancer in the AS + RT + CT arm versus AS + RT (23 versus 16 deaths). The 6-year rate of distant metastasis was lower for AS + RT + CT versus AS + RT (9.1 versus 14%; HR, 0.6), and the six-year disease-free survival rate was higher for AS + RT + CT (65 versus 55% for AS + RT; HR, 0.76). “The trial suggests that docetaxel CT may be an option to be discussed with selected men with high-risk prostate cancer,” the authors write. Several authors disclosed financial ties to pharmaceutical companies, including Sanofi, which partially funded the study. Rosenthal SA, Hu C, Sartor O, et al. Effect of Chemotherapy With Docetaxel With Androgen Suppression and Radiotherapy for Localized High-Risk Prostate Cancer: The Randomized Phase III NRG Oncology RTOG 0521 Trial. J Clin Oncol.